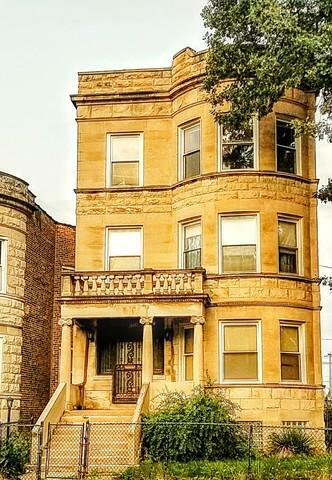 This Beautiful Well Kept 3 Flat Building Features, Coffered Ceilings, hardwood floors, Butler's Pantry, Separate Formal Dining Room with Gorgeous Built In Cabinetry, Formal Living Room and Separate Family Room. Great Size Balcony, Spacious Enclosed Back Porch, Full Oversized Partially Finished Basement With A Generous Size Laundry Room, Including Four Storage Rooms. This Gem sits on a corner lot complete with a 3 Car Garage and Is Being Sold As Is! Located Near Kennedy King College, CTA Geen and Red Line Stations, Whole Foods, Chipotle, Starbucks and The Dan Ryan Expressway. Perfectly Situated in The Thriving Englewood Neighborhood. Great Addition For Your Investment Portfolio!